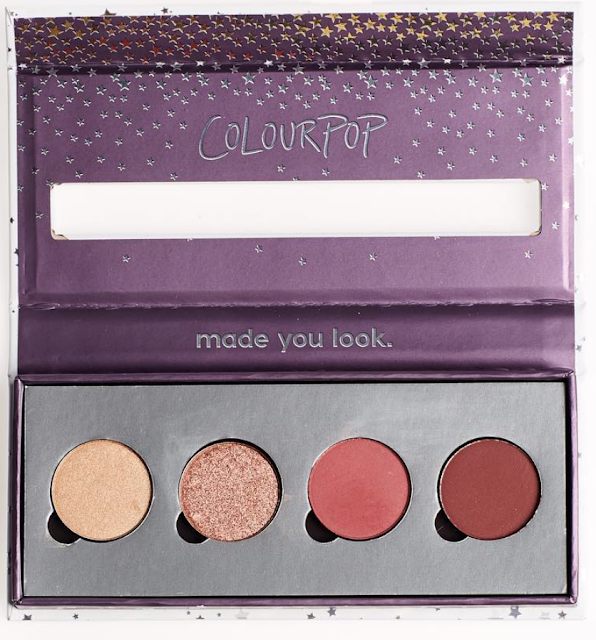 ColourPop is releasing their first ever collection of pressed powder eyeshadows following the success of the Weekend Warrior Palette that debuted in the recently released Amanda Steele x ColourPop collection. 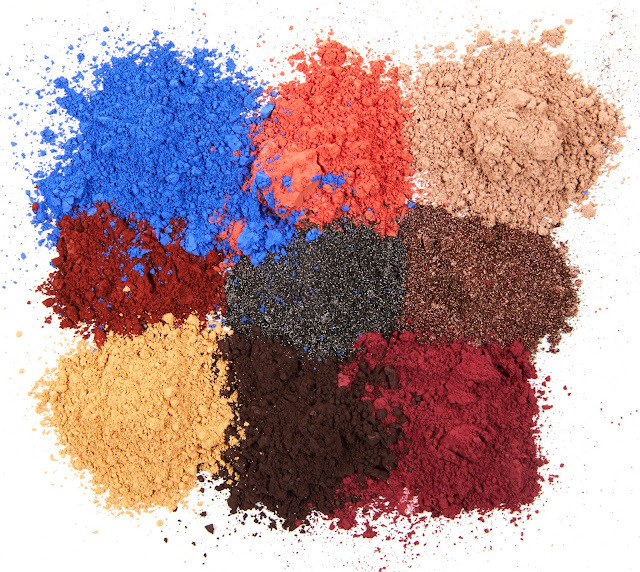 The Pressed Powders collection will include over 20 single shades ($5) and two fixed quad palettes ($18). If you purchase four single shadows, you get an empty palette for free so you can pop colors in and out to customize the contents. 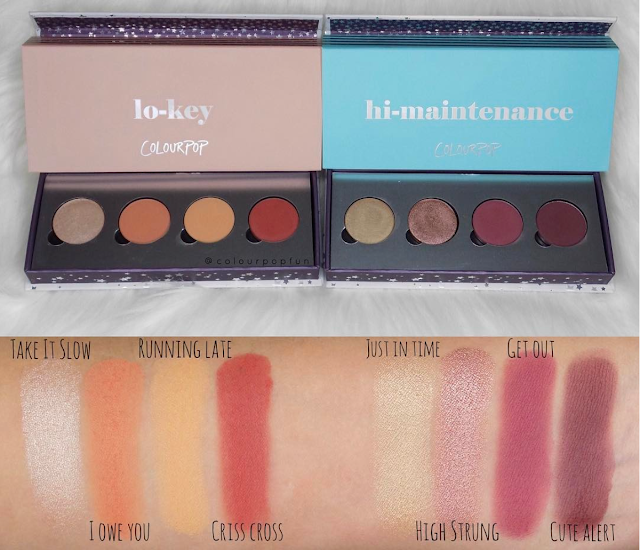 And what's cool is the palette designs will be limited edition and collectable so you can eventually have a collection of different palettes. With so many shades to choose from a larger palette may eventually be in the cards but we'll just have to wait and see. 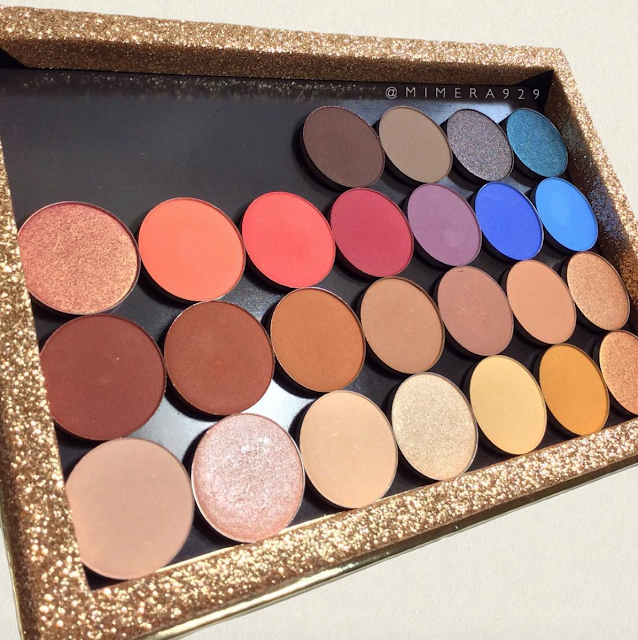 I'm sure many would jump at the chance to have a large ColourPop branded magnetic palette to house their entire collection of CP shadows. Here is the current packaging for the single shadows, which also matches the design that will be on the quad palettes as well. If you love it, be sure to snag one while you can as these designs are limited edition and will be periodically changed. 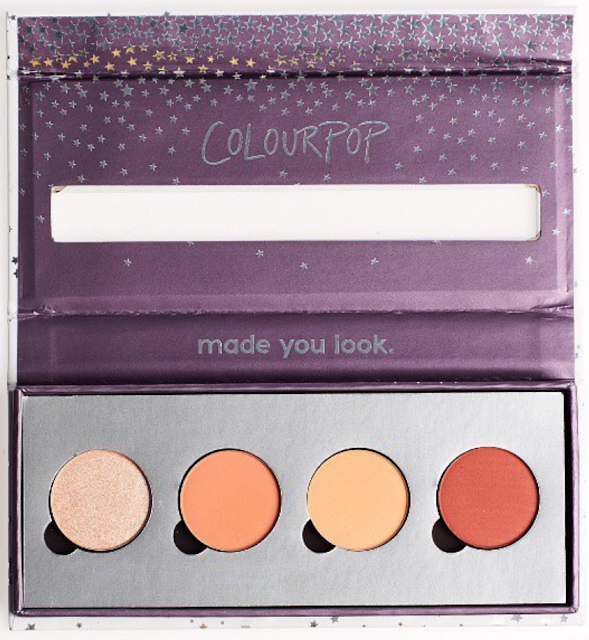 Previously ColourPop has only had cream based products so this foray into pressed products is very exciting news. 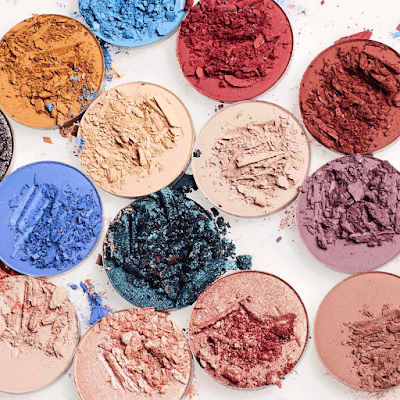 If you love ColourPop's Super Shock Shadows or Cheeks you know all too well the trouble you soon run into with storage when your collection starts to grow. That's because they can't be depotted as cream products would dry out so each has to be stored in their containers. But with pressed shadows you can easily pop them into a palette for more convenient storage. 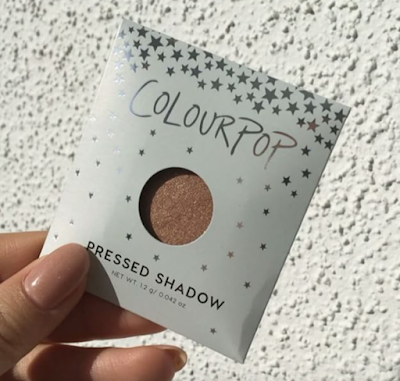 This change could mean ColourPop may be releasing pressed blushes and highlighters in the near future. Knowing them, I'm sure it's already in the works. 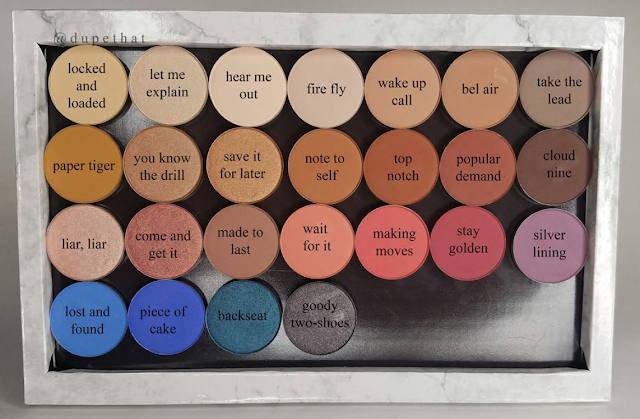 But for now, let's take closer look at all the upcoming pressed shadows. 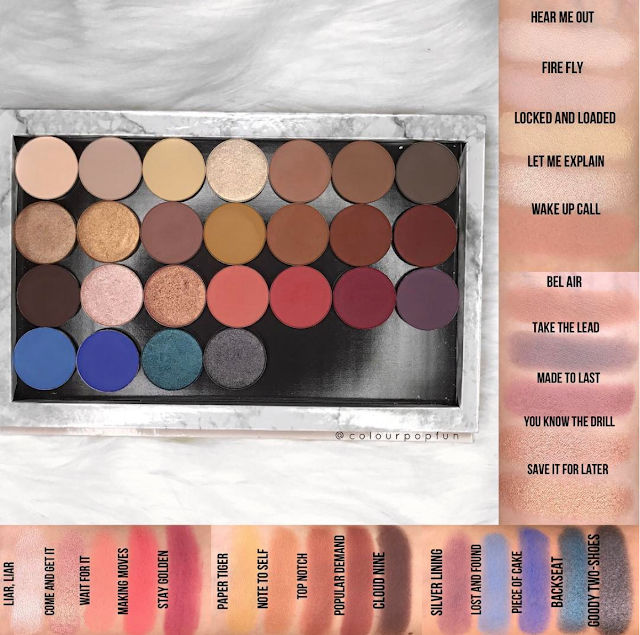 Here are all 25 of the single shadows for this initial release and there are also 8 additional shades, which will be available exclusively in the quad palettes only at this time. That's a slim mirror btw. It's covered. I hope you've got your list ready. 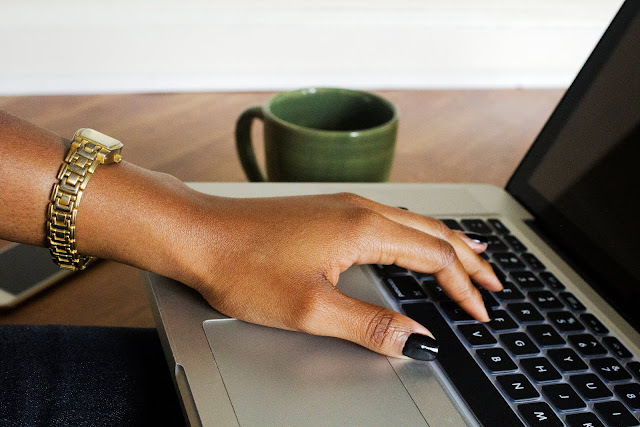 If not, check out these swatches on dark skin here as well as these on light skin here and here. All shades are vegan and cruelty-free as well of course. These shadows will be launching this Friday, 1/13 at 10am PST/1pm EST on colourpop.com. Preview the collection here now. Is the shade I owe going to be a single shade also? Sorry for the late response but all the shades from the quads have been made available as singles.